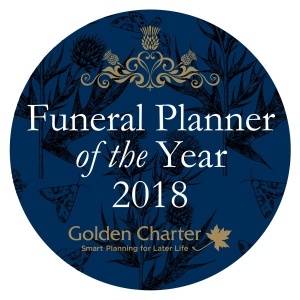 M G Evans and Sons are proud to announce that they have been awarded Funeral Planner of the Year 2018 by Golden Charter Trust. Golden Charter’s Funeral Planner of the Year Awards took place at the spectacular National Museum of Scotland in Edinburgh. Over 400 people attended and enjoyed Scottish entertainment provided by the Red Hot Chilli Pipers and host Radio 2 DJ Ken Bruce. 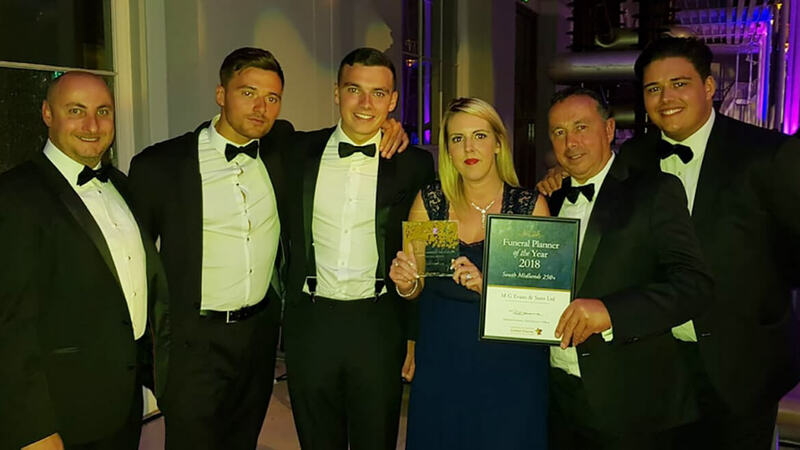 Pictured below (from left to right) are Paul McDonald, Matthew Evans, Luke Evans, Carly Baker, Nigel Evans and George Evans who all attended the award ceremony.